The roots of Midtown Yoga were planted where passion and purpose meet. Founder Emily Wallace was inspired to try yoga after feeling uncertain about her life’s path in her early 20s. During her first year of college, she began to practice yoga and immediately knew she had discovered her passion. With passion comes perseverance. Emily earned her RYT 200 and RYT 500 hour teacher training certifications and began teaching yoga everywhere she could. From teaching at local studios, gyms, college apartment complexes, and retirement homes to hosting yoga teacher trainings, and international yoga retreats all over the world, she immersed herself in sharing the power of yoga and building a connected community. Soon, Emily’s passion developed into a bigger purpose. What began with a simple yoga practice years ago has now blossomed into a space for all to gather, guide, and grow. 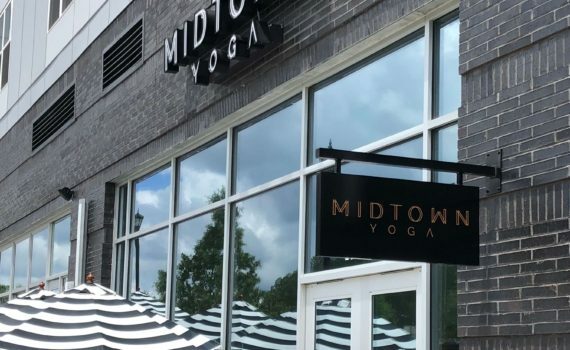 With the support of family, friends, and the community, Midtown Yoga was born. We are thrilled for you to join the tribe!